A dominant-side power punch is the single most efficient way to transfer kinetic energy from a bare hand into an opponent’s vulnerable areas - specifically from the bridge of the nose, down to the tracheal notch - and anywhere a beard would cover. For some reason this has become controversial, as instructors of so-called military systems state that open-handed striking is dangerous - can break the hand. Any kind of striking or fighting is dangerous. As I say in the video - if you are in a situation in which you are using parts of your body as an impact weapon, there’s a problem. Yes, you might get hurt - but if you learn to punch really hard, with accuracy and the correct mindset - your chances of prevailing go up dramatically. Anyone who has ever sparred a round in boxing, kickboxing, or MMA knows to watch for the dominant-side punch coming in. Not a palm heel strike, not a slap - a punch. A closed fist has less surface area than the open hand, getting better penetration. The skeletal alignment on a properly executed punch is better than an open-handed strike - you might hurt your outside knuckles, but won’t break your wrist or fingers. The mechanics of an open-handed strike are less efficient if the wrist is protected - turning out the fingers moves the elbow away from the body. Open-handed strikes can be useful with odd angles or when someone is pressing up against your body. If you want to use open-handed strikes, you will get much better at them if you practice power punching combinations and timing. Power punching an important part of Krav Maga techniques training - and is part of our free POWER-6 training course. This 7-part video series teaches you how to safely start training - or supplement your training with a friend. There’s a specific order to learn and practice in, which can save you hours...days...even years if you follow the model. Learn 6 FUNDAMENTAL STRIKES you can use immediately. 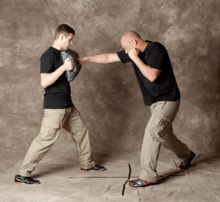 Learn an INNOVATIVE METHOD for starting to think like a Krav Maga instructor while you're learning with a friend. 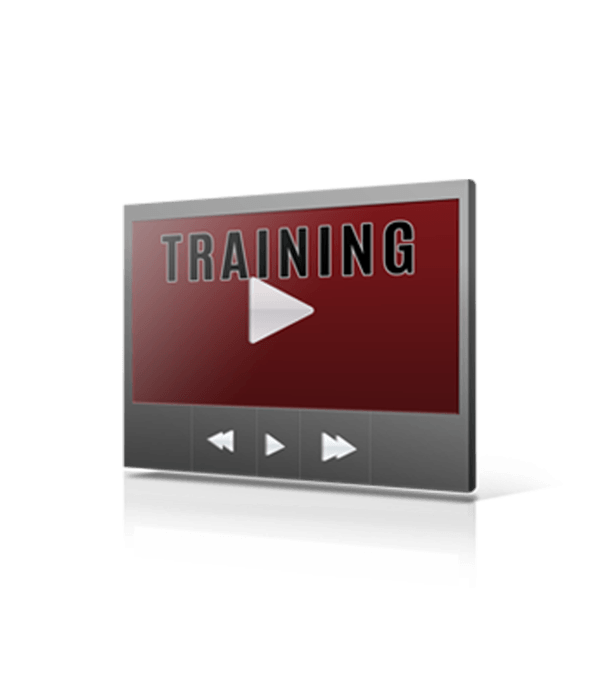 Learn SPECIAL TRAINING DRILLS that safely prepare you for violence.